California’s Gov. 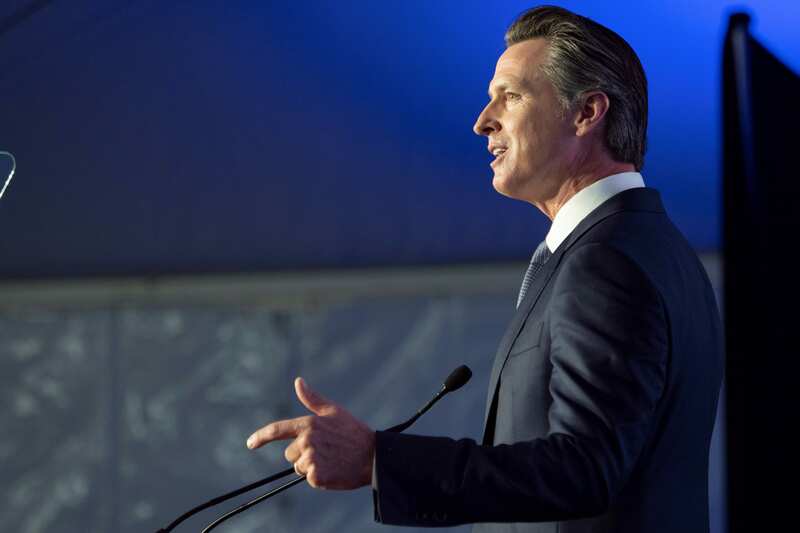 Gavin Newsom explained his decision of suspending death penalty in California during a telebriefing held by Ethic Media Services. With 737 people on death row, California is the largest death row state in the Western Hemisphere. Of 737 inmates, 66.4% are people of color. They’re mainly Hispanic or Black. No execution of an inmate has happened since 2006. Since 1978, 13 people have been executed while 120 inmates have died in death row from other causes like suicide. The problem with the death penalty is that many inmates have been wrongfully convicted. Since 1973, 164 people were sentenced for a crime they did not commit. Five of those imprisoned people are from California and happened to be people of color. According to the National Academy of Sciences 1 of 25 death row inmates are most likely innocent. If this statistic is applied to California, of the 737 people on death row, about 30 people in the state are innocent. Many of the inmates do not have the resources to afford legal representation or are people with mental disabilities. The only choice they had at their reach was to hire a public defender. Since 1978, $5 billion has been spent on this protocol, “I think it’s wasteful,” he said. Since his announcement last week, California closed the death chamber at San Quentin State Prison. Newsom also stopped the lethal injection protocol. No executions will occur in California under his administration. However, no one will be released from prison and he made it clear that he is not arguing against any crimes committed. “I want to hold people accountable for their crimes.” Newson said. “People shouldn’t be free for certain acts of crime committed,” he said. Currently 25 individuals have exhausted all their appeals. Now, if everyone exhausts their appeals, California would execute one person every day for two years. Another strategy would be to execute one person a week for 14 years. Newsom argues that this decision would say a lot about the State and the core values of Californians. Newsom explained that America executes the most human beings than any other democracy in the world. Three of four nations have already proceeded in abolishing the death penalty. “It’s about this nation and who we are and what are values are as we try to express them and represent them around the world,” Newsom said. Newsom has been an active believer in abolishing the death penalty. This decision has been in his mind for the past four decades. California’s governor shared that he was the only active state official who publicly supported the opposition of 2 ballot issues in 2006 and 2012, the ballot supported the death penalty. The death penalty to him represents a racist system. Newsom shared this notion that if you murder a white person and you’re colored, you have a higher chance of death row. However, if you’re a black person and murdered a white person the possibility of death row is much higher. However, someone else shared that the only thing she wants is her daughter back and nothing – not even death, will bring her back. When Newsom was mayor in San Francisco, an 8-year-old girl told him that children are taught to not kill people, yet they’re showed that it’s okay to kill people on our behalf through the death penalty. “We teach people it’s wrong to kill and yet we’re showing people it’s wrong by actually demonstrating that we have the right to a premeditated way to killing, it’s a confusing notion and it’s just something that again, is a point of contradiction,” Newsom said. While not everyone is on the same page with his point of view on the death penalty, the next step would be to commute death sentences to life without the possibility of parole. For this to occur he will need approval from the State Supreme court. Death penalty to him represents inequities and injustices, “You’re better off being rich and guilty than poor and innocent,” Newsom said. Me llamo Nicole Martínez y soy mexicoamericana. Me apasionan temas que tengan que ver con inmigración, salud y educación. Yo quiero ser la voz de los que lo necesitan más en este país. La frontera es importante para mí porque desde chiquita he vivido parte de mi vida en California y Tijuana. He tenido lo mejor de los dos mundos. Actualmente soy presidenta del club RTDNA de CSUN y soy Jefa de redacción de El Nuevo Sol. También he trabajdo con Telemundo 52. Tuve la dicha de trabajar con el equipo de Acceso Total y Telemundo Responde. Mi trabajo en El Nuevo Sol está aquí.